Fon Wireless Limited (hereinafter, “Fon” “us”), is a company registered in the UK with company number 5661131 located at 25 Farringdon Street, London EC4A 4AB, United Kingdom. You become a WiFi for Business Member by accepting this Agreement, having a Fon Account and owning a Fon Router or a router of a Fon Partner with the Fon functionality for WiFi for Business service installed. The terms and conditions of Fon or the terms and conditions of a Fon Partner previously accepted by you, shall remain in full force and effect. Nothing in this Agreement implies any modification of those Terms and Conditions. This Agreement shall apply to the Fon Service provided as a WiFi for Business Member. You shall activate your Fon Router in order to create a FonSpot. If You become aware of any aspect of Fon Hardware, Fon Software, or the Fon Service which has or is likely to cause damage, or allow damage to be caused, you will inform creating a support ticket from our online end user Help Center. Fon will publish information about the location of your Fon Spot within the Fon Network while this Agreement is in force. This is essential for other users to access the Service. The Fon Visitor will be able to connect to the Fon Spots after registration to the Fon Network, for the time and/or under the payment conditions, (e.g. Pass) set forth on the customized Fon Portal and previously agreed by Fon. · to customize the Fon Portal by uploading the any branded images and promotional materials in the space reserved by Fon for this purpose. · to receive be informed about the use of the Fon Service and products advertised through the Fon Access Portal of its Fon Spot. · If You register as a WiFi for Business Member You understand that as a result of connecting a Fon Router to the Fon Network and registering with Fon, You will create a Fon Spot. Other users will be entitled to access the Internet through this Fon Spot. · WiFi for Business Member agrees to keep the Fon Spot active during 24 hours 7 days a week in order for the other Fon Members and Fon Visitors to be able to connect thereto. · In order to guarantee the correct functioning of the Fon Spots, the WiFi for Business Member shall exclusively use the official versions of the Fon Software. · WiFi for Business Member shall check if it is permitted to share your bandwidth in accordance with its ISP user agreement as the WiFi for Business Member is the sole responsible for compliance with the contractual obligations towards such ISP. · Respect the intellectual property rights of others. Do not use business names and/or logos in a manner that can mislead, confuse, or deceive users. WiFi for Business Member shall be the sole responsible of any Intellectual Property infringement contained in the customized Portal. · WiFi for Business Member can only advertise its own products and services in the reserved space on the Fon Portal, and shall not resell or trade such space without Fon’s prior consent. Fon is not responsible for the use by WiFi for Business Member of third party’s intellectual property. · WiFi for Business Member shall not confuse or mislead users about the purpose of your advertisement in the Fon Portal. · WiFi for Business Member shall ensure that the content they upload to the Fon Portal is conforming to all local laws and regulations. · WiFi for Business Member shall not facilitate or encourage the publishing of malicious content or pornographic or obscene images or any other content not suitable for public display in their country, as well as links to such content. · WiFi for Business Member shall not use the customized Fon Portal as a site intended to entice or encourage users to violate the Fon Agreement such as a spam or malware site. · WiFi for Business Member shall not facilitate or encourage the publishing of private or confidential information, through the Fon Access Portal. · WiFi for Business Member will not challenge Fon’s ownership of, the validity of any license to use or otherwise copy or exploit the Fon Trademark during or after the termination of this Agreement except as specifically authorized herein. Any rights not expressly granted herein are withheld. Fon may suspend or revoke access if Fon believes the WiFi for Business Member is in violation of the obligations or the spirit of these TOU. The services provided by Fon consist in providing and controlling access to Fon Spots, authenticating and validating all Fon Members and Fon Visitors who connect through the Fon Spots. · facilitating access to the Fon Spots, providing the authentication and registration for such access. · providing information about the location of the different Fon Spots. · registering the number of users that access each Fon Spot and the type of user that has accessed each Fon Spot such as Fon Visitor, Fon Member or WiFi for Business Member. · offering access to the Fon Spots to the Fon Members. · offering services to the Fon Members and WiFi for Business Members.  Fon is unable to provide any warranties as to the levels of connectivity that a Fon Member or Fon Visitor will receive via your mobile, device or handset. This may depend upon the location of the user related to a Fon Spot. Connectivity fail to access may depend on your contract with a Fon Partner or ISP providing You a limited access to the Network. Fon cannot guarantee the access speed and the data transmission speed. Fon will not accept any responsibility for any connectivity issues You may experience. Fon may reserve the rights to suspend a WiFi for Business Member’sFonSpot in case a fraudulent misusage is detected. Fon shall have a Customer Care Service available with the aim of responding to the queries related to the provision of Fon Services. If You are a Fon user You can contact the Customer Care Service creating a support ticket from our online end user Help Center. Any claim related to Fon Services should be addressed to the Customer Care Service, in written form, within a monthof the date that the Fon user has become aware of the issue relating to the claim. The acceptance or rejection of the claim will be communicated to You in a month after its reception by Fon. Either Fon or You may decide to end this Agreement at any time. If You wish to end this Agreement, You may do so by sending an email to unsubscribe@Fon.com or completing a form on the Website fifteen (15) days in advance to effective termination of the Service. Fon may terminate this Agreement at any time, for any reason, including but not limited to violation or evidence of violation of any of the terms and conditions herein. If Fon wishes to end this Agreement, Fon will inform You by email at the email address You have registered with Fon.This Agreement will end immediately upon either party termination. However, Fon will continue to keep all your personal information confidential and You will continue to accept and respect Fon’s intellectual property rights. Fon shall be able to transfer or assign its position under this Agreement to any another entity of its group. The transferee shall therefore subrogate in all rights and obligations of Fon under this Agreement. You accept any of the said transfers and assignments. Fon shall only be liable under this Agreement for losses, which are a reasonably foreseeable consequence of the relevant breach of contract. Fon shall not be liable for damages incurred by reason of other services or goods received through or advertised on the Fon Services or received through any links provided in the Fon Services, as well as by reason of any information or advice received through or advertised on the Fon Services or received through any links provided in the Fon Services. Fon does not exclude or limit its liability in respect of (a) its willful default or fraud; or (b) death or personal injury. If any provision of this Agreement is held invalid, illegal or unenforceable for any reason by any court of competent jurisdiction, such provision shall be severed and the remainder of its provisions will continue in full force and effect as if this Agreement had been executed with the invalid, illegal or unenforceable provision omitted. This Agreement is subject to the laws of England, without regard to choice or conflicts of law principles and the parties hereby agree to submit to the exclusive jurisdiction of the English courts. Fon Access Portal (or Fon Portal) is the portal used by Fon in Fon Spots through which Fon Member or Fon Visitor can register and access to the Fon Network. Fon Hardware or Hardware: Hardware distributed by Fon or by a third party which will be used to connect to the Fon Network. Fon Member is the registered user of Fon that shares bandwidth through a Fon Router or a router of a Fon Partner with the Fon functionality installed, in exchange for free connection to any Fon Hotspot of the Fon Network. Some Fon Members may have special rights and obligations. Fon Network is the world-wide network of WLAN hotspots based on a community whose members share their broadband internet connection; these hotspots are either based on separate stand-alone Foneras or integrated with Customer Premises Equipment and provided as a best-effort service. Fon Partner means a Third party which has entered a partnership with Fon. Fon Partners are published in Fon Website. Fon Pass(es) or Pass (es): Ticket that is purchased by a Fon Visitor in order to be able to access Fon Spot. Fon Router is the device distributed by Fon or its Partners and enabled with the Fon Software. Fonera, Fonera SIMPL or Fonera for small business are brands of Fon Routers. Fon Services or Services are the services provided by Fon consist of providing access to the Fon Network, providing information about the location of the Fon Spot, authenticating and registering the Fon Members and Fon Visitors, and any additional service that Fon offers to the Fon Partner or the Fon Member. Fon Software or Software: Software distributed by Fon or installed into the router of a Fon Partner that enables Fon Members to access to the Fon Network. Fon Spot means a public WLAN access point that belong to the Fon Network and that is operated by Fon, customers of Fon or Fon Partners. Fon Visitor is a registered user who does not offer a Fon Spot and who purchases and uses paid access to a FonSpot or is otherwise entitled to free limited or unlimited access in virtue of a Fon promotion or specific agreement between Fon and a Third Party. Fon Website (or Site): Each and every one of the elements and contents of the website from which one can access the products and services provided by Fon. Third Party means any person or entity that is not a party to this Agreement. ISP means Internet service provider. Wi-Fi means Wireless communications technology. You and you: refer to you the Fon Member or Fon Visitor.